Many leaders, after the financial crisis of 2008, tend to give special importance to their personal values in an attempt to lead better. The crisis was an eye opener for many leaders who were guilty of measuring success in monetary terms. After the downturn, these leaders realised that their fallacious thinking was actually pushing them away from their true self. Unfortunately, people sitting at the top had no time to examine the process which helped them to recover as the bonus pools grew and markets eventually rose. Most of the leaders actually disappointed their shareholders, employees, customers and everyone else who trusted them because they placed organization’s interest behind their self interest. In fact, when leaders start comparing their self worth with their net worth, they get into trouble. 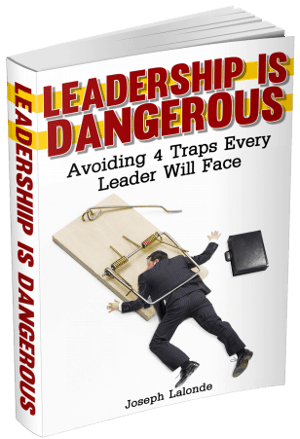 Nevertheless, many leaders fall into this trap even without knowing what is happening. What leaders need to do is to look inward to measure success as a leader and most importantly, a human instead of looking for external measures of success. Clayton Christensen, a Harvard Professor says that only few people tend to hurt others and be dishonest in the initial stages of their career. However, as the time passes by and they climb the leadership ladder, they start making assumptions to the rules and their definition of success changes. Most struggling leaders fail to understand that leadership is about making a positive difference in the lives of their families, employees, customers and society as a whole. Success in leadership is not about achieving a certain net worth or reaching a certain position. These leaders need to realize that authentic leadership process consists of certain principles, beliefs and values which they have to observe at every cost in order to be internally as well as externally successful. It has become extremely difficult in modern business world to maintain a right balance between attaining short term financial objectives and achieving long term goals. Therefore, when you assume greater leadership responsibilities, it is imperative for you to remain humble, authentic and grounded while taking on new challenges. Similarly, you need to measure success both in terms of professional and personal goals achieved but it is easier said than done. One thing that can help leaders to accomplish this difficult mission is the practice of Mindful leadership. It equips you with the necessary tools and techniques to manage and measure your life in the present moment of time. It allows you to recognize and control your emotions at any given time especially in the case of highly stressful situations. Mindfulness helps leaders to have strong impact on others because it enables them to be aware of their presence. You will be able to recognise the implications of your actions in the long run while participating and observing each and every moment of your life. This will ultimately prevent you from living a life that is devoid of personal values and beliefs. Practicing Mindful leadership will help you identify what is actually important in your life and understand what is happening around you. It will further enable you to get rid of needless worries and clear away the trivial problems which are negatively affecting your performance both in home and office. It will also bestow you with compassion for others and nurture within you a passion for your work, practically helping you to become not only a successful but beloved leader as well. This is a guest post by Ali Jafri. Throughout his professional career Ali has been associated with globally recognized consulting firms, including Pricewaterhousecoopers & Mercer consulting. Currently, he is working for Madinah Institute for Leadership and Development (Visit them on Facebook), Madinah, KSA. Ali Jafri is a Certified Practitioner of Personality & Preference Inventory program (PAPI) which is a Psychometric tool developed by Cubiks an entity of PA Consulting U.K.